Walk into the office of New Life Building Supplies, LLC any morning at 6:00, and you’re likely to see owner Rick Magliocca, sipping a cup of coffee as he begins his day. For over 40 years, Rick has been a familiar face to the contractors who rely on his firm. 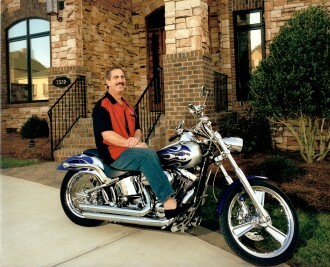 Rick Magliocca is permanent fixture in the Charlotte, NC based company. Born in Charlotte in 1960 and in business since 1977, Rick is instilled with a great work ethic. Customers are used to dealing directly with Rick and his staff. They know they can talk to Rick and get an answer.